What a morning! After weeks of stability, Bitcoin shot up this morning and even reached a price of $7,500 on Binance. Since then, Bitcoin went down again, now stabilizing in the $6,600 region. What has caused this sudden rally? 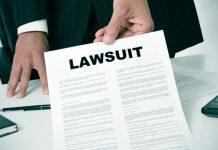 The answer is clear: a lot of rumors of big exchanges delisting Tether (USDT). This morning, Bitcoin rallied from $6300 to $7500 on Binance in just 1 hour. With investors firstly thinking a new Bitcoin bull run had started, it soon became clear that rumors regarding a possible Tether delisting had been the actual reason behind the quick rise. 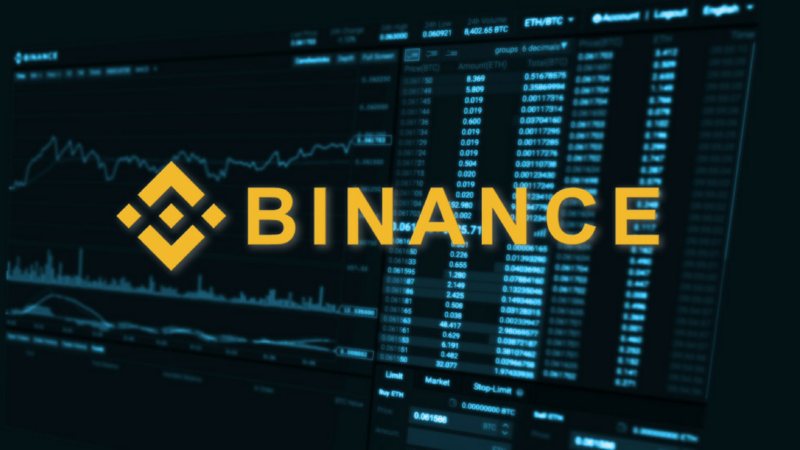 Today, the news circulating on social media, indicated that the popular exchange Binance was about to delist Tether (USDT) from its platform. 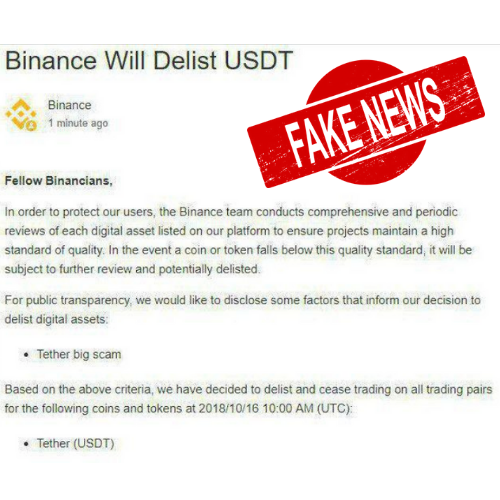 While no official statement had been made by Binance, a photoshopped image of a Binance announcement caused the market to panic. 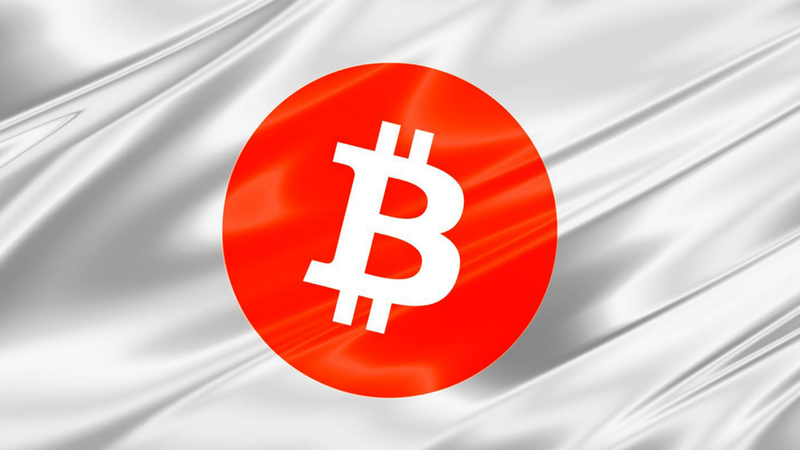 Most investors were quickly selling their USDT positions for Bitcoin and other top currencies, causing a huge rise in the market. In a retweet, the CEO of Binance, Changpeng Zhao, has indirectly clarified that the exchange was not delisting Tether (USDT). The original tweet was referring to the above screenshot that was circulating on social media. Fake news or not, one possible indirect effect is that the fake news might have triggered the highly anticipated bull run and alt-coin season everyone was waiting for. 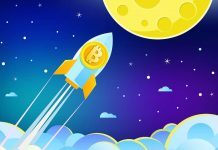 If Bitcoin can maintain its level and climb back to the $6800 in the upcoming 24 hours, a bullish sentiment can hit the market. 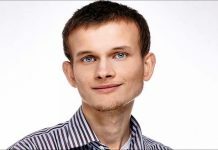 If this FUD triggers a $BTC bull run, it is a nice FUD to have. Previous article5K Predictions Chased Away By Bitcoin Bulls? Mother Of All Currency Soars to $6800!